You know your products well. You know what your customers want. Augment your intuition and market savvy with tools that can elevate your retail and merchandising business beyond your competition. Neubrain understands that retail and merchandising is a dynamic, ever-changing industry. Plagued by unused or poor quality data and complex or incomplete home-grown analytical tools, many retailers and merchandizers struggle to get a clear vision of their business’ health. Our Retail Merchandising and Analytics solution can give you day-to-day insight by replacing the rigid, insufficient tools often used by buyers and planners with a nimble, responsive, and integrated system. 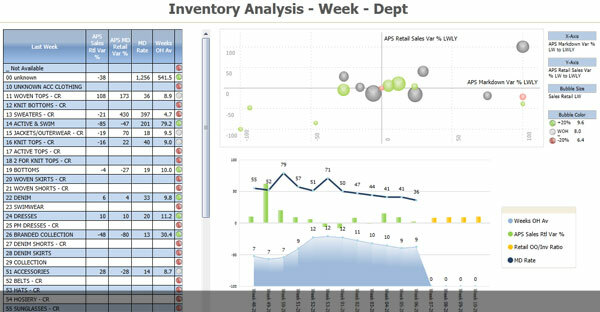 Our Retail Merchandising and Analytics solution deploys sophisticated retail planning, analysis, and reporting systems tailored to your unique processes. 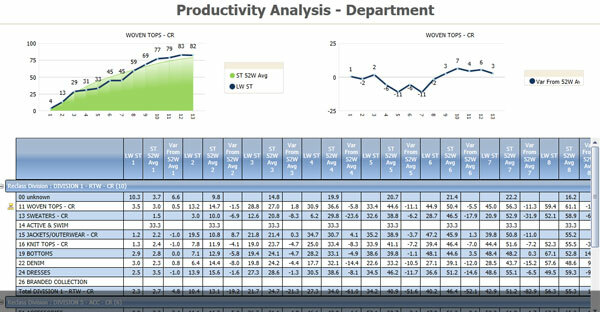 The solution features pre-built models for Comparable Store Status Forecasting, Store-level and Department-level Profit and Loss (P&L) Budgeting, Merchandise Planning, Merchandise Mix Analysis, Attribute Analysis, Open-to-Buy, Stockout Prevention, Inventory Allocations, and many others. These models leverage the industry’s best practices, creating a core foundation that is ready to use right away and also configurable for your business’ future. Our Retail Merchandizing and Analytics solution is versatile. It can be used in many retail areas, and, therefore, is a great option for dynamic and fast growing mid-market retailers that often times cannot afford the same level of IT spend as their larger counterparts. With one unified product architecture and no separate modules to purchase, the solution is easy to learn, implement, maintain, and modify as your business changes. Our solution is programming-free, enabling your staff to become quickly proficient in the applications, and it is flexible, allowing your planners and buyers to leverage the pre-built analysis models or develop their own.